What kind of relationship do you have with your dog? Relationships matter, and your dog’s behavior can really be affected by your interactions and what you share with your dog. Demanding dogs don’t have the kind of respectful relationship that is healthy and best for the dog. Relationship type 1: Is your relationship with your dog full of of affection, treats, snuggle time and all that good stuff? Who determines the terms of the attention you pay to your dog? Does your dog demand attention? Does your dog demand to be petted or played with? Relationship type 2: Is your relationship with your dog one of leadership and guidance? Do you provide structure, rules and boundaries for your dog and make your dog earn all the affection, treats, and access to personal space? Do you give it on your terms and not on the terms of a demanding dog? 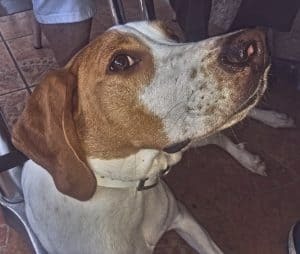 If you are struggling with your dog and your dog’s behavior, and you have the first type of relationship, look at how your dog sees all these things that you are freely sharing.When we provide all that good stuff for free, our dogs see us as nothing more than a resource. If we are a resource, we are worthy of little more than guarding. And not as in the “guard dog” sense but more like a dragon guarding his pile of gold. When a dog is given all these things for free, is there any reason for the dog to listen and behave? Here is another way to look at it. Every time you see your child, you give him $100 because you love him and want him to be happy. You give it to him regardless of if he cleans his room like you asked, is polite and respectful to you, or behaves properly. Probably this seems silly because no one would ever do such a thing with their child. But it’s exactly what we do to our dogs. I know that we want to make our dogs happy and enjoy life with them, but not at the cost of creating a demanding dog with behavior problems! Of course they love all the things we provide. But, they will equally – if not more – love a good game of tug or fetch or a hike in the woods. 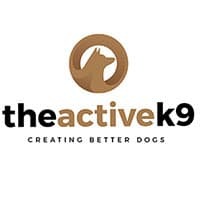 Why not provide this kind of stimulating physical activity which can really strengthen the bond between you instead of providing resources which strengthen your dog’s perception of you as a resource? Why not make the treats and affection dependent on your dog’s good behavior? Here are more simple things you can do to build a better relationship with your dog that is based more on leadership than being a resource. 1) When you share affection with your dog, be aware of sharing when you want to versus when your dog is demanding of it. 2) Use training, games, and walks to build your relationship with your dog. 3) Be sure your dog is earning treats and affection with good behavior and a respectful attitude. For more training tips, how-to videos, and dog training updates, follow us on Facebook. If you need more help with training, take a look at our Programs and Rates page.